As a child, Craig Henriksen is sent to Chicago to live with relatives after the shocking death of his father. As an adult, he is reclusive and avoids facing his past, only to discover strange abilities that won't let him escape it. His struggle to find normalcy is challenged by his cousin Danny, a Chicago Police detective who uses him to uncover clues at murder scenes. As Craig becomes involved with Lauren, a woman who offers him the hope of living the life he has always wanted, he finds himself pulled ever further into Danny's pursuit of a vicious serial killer--the Tourist. But even if he chooses to forgo his chance at happiness in order to help his cousin, will he understand in time that both he and Danny are being hunted? 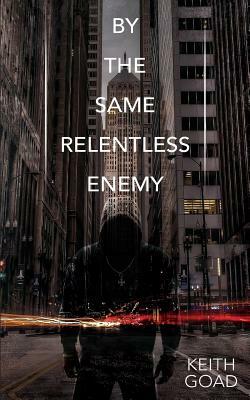 By the Same Relentless Enemy brings an age-old battle to today's streets, hearts, and lives.